For Abraham Lincoln, whether he was composing love letters, speeches, or legal arguments, words mattered. 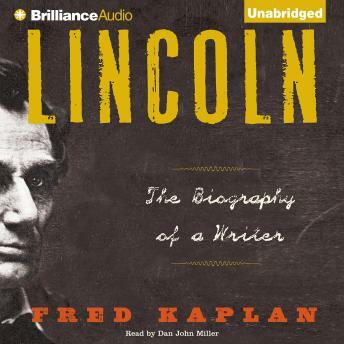 In Lincoln, acclaimed biographer Fred Kaplan explores the life of America's sixteenth president through his use of language as a vehicle both to express complex ideas and feelings and as an instrument of persuasion and empowerment. Like the other great canonical writers of American literature - a status he is gradually attaining - Lincoln had a literary career that is inseparable from his life story. An admirer and avid reader of Burns, Byron, Shakespeare, and the Old Testament, Lincoln was the most literary of our presidents. His views on love, liberty, and human nature were shaped by his reading and knowledge of literature. Illuminating and engrossing, Lincoln brilliantly chronicles Abraham Lincoln's genius with language.